When purchasing a bottle of wine it should be enjoyed at its best. Wine is delicate and is affected by its environment. Sunlight, heat, variations in temperature and vibrations are things that affect wine in a negative way. Don’t store your wine rack in the garage or on a windowsill. Wine should be stored in a place in the house where the temperature stays even year round and it is not in the direct line of sunlight. Investing in a temperature controlled wine cooler is a great way to alleviate any worries regarding wine storage. 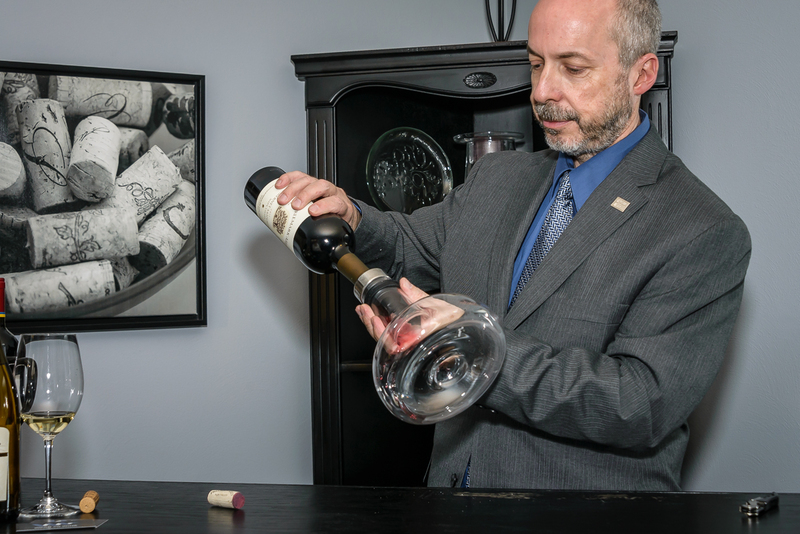 It doesn’t matter if you spend $5 or $500 on a bottle of wine it should be handled correctly and served at its best so that you have a positive experience with the wine. Here are some helpful tips for serving your wine, each wine listed in the “Wine Reviews” section of Wardonwine.com has helpful wine enjoyment tips to enhance your experience. Sparkling wines should be refrigerated and kept in an ice bucket after opening. When a sparkling wine is too warm the wine will shoot out of the bottle after opening causing a mess and loss of valuable wine. Lighter and medium bodied white wines like Pinot Grigio or Sauvignon Blanc should be served at about 10 degrees above refrigerator temperature. Rosés or full bodied white wines like Chardonnay should be served only slightly chilled at 50 to 55 degrees. Serving red wine at room temperature is a myth. Red wine should be slightly chilled to around 60 to 65 degrees or about 10 degrees below room temperature. If you are dining outside with a bottle of red wine bring a chiller or cooler outside with you. Most red wines can benefit from aeration, most white wines do not need excessive air contact. High tannin wines from younger vintages need air contact to release the aromas of the wine. The tannin molecules will hold the aromas until adequate air contact has been made. Lighter reds like Pinot Noir do not usually need much air contact, swirling the glass will provide aeration for the wine. Open and enjoy. Young red blends and grapes other than Pinot Noir, along with some Chardonnays can improve with about 30 minutes in a decanter or at least poured into several glasses. Big bold tannic Napa Valley Cabernets will benefit from several hours of decanting. If opening one of these wines allow several hours of aeration before serving. Older wines, or wines that are not filtered will have some sediment in the bottle. Older wines, those that are 10 years or older should be opened about 30 minutes and slowly decanted so that the sediment stays in the bottle and doesn’t get into the decanter. Older wines do not need the aeration that a younger wine needs. The tannin molecules have thinned over time, excessive aeration could result in loss of remaining aroma. Aerators are a sound investment. They are perfect for single and first glass use, right after the bottle is opened. By the time you are pouring a second glass the wine has become sufficiently aerated. Once a bottle of wine has been opened it starts to become affected by oxygen. Initially, some air contact will benefit the wine. In a day or two the wine will start to become oxidized and not taste as fresh as it did. 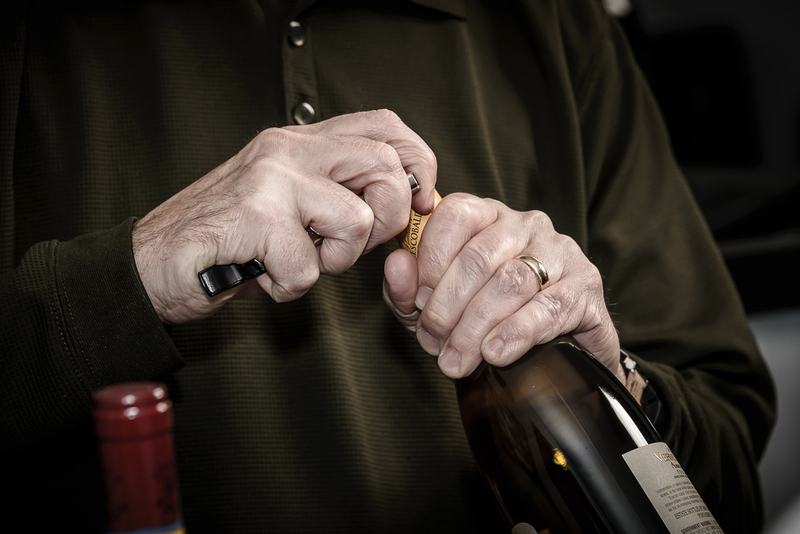 If the wine is open longer than 48 hours you may consider replacing it and opening a new bottle.